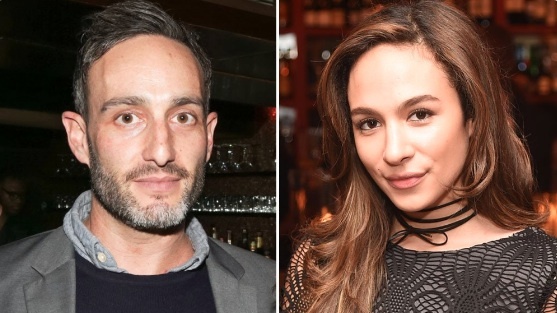 On November 17th, news broke that actress Aurora Perrineau had accused Girls writer Murray Miller of sexual assault. Miller’s legal team promptly released a statement which not only stated that the accusations were false, but strongly implied that Perrineau was merely attempting to extort Miller for money. However, Miller’s legal team retracted their statement on December 7th. “In a previous statement to the media, we stated that Ms. Perrineau sought substantial monetary damages from our client Murray Miller. Neither Ms. Perrineau nor her attorney have ever made a demand for money. Our previous above statement was incorrect and the result of a good-faith misunderstanding," his team said in a statement to Variety. This new information begs the question: Why would Miller’s legal team think Perrineau had asked for money in the first place? Could it be because Miller falsely claimed she had? We unfortunately have no way of knowing at this time, but these new developments certainly raise some red flags. Namely: If Miller’s legal team was so wrong about the fact that Perrineau had demanded money from their client, could they also be wrong about his claims of innocence? "While our first instinct is to listen to every woman’s story, our insider knowledge of Murray’s situation makes us confident that sadly this accusation is one of the 3 percent of assault cases that are misreported every year. It is a true shame to add to that number, as outside of Hollywood women still struggle to be believed. We stand by Murray and this is all we’ll be saying about this issue." Dunham faced strong backlash for her comments, with many pointing out her hypocritical stance on sexual misconduct (aka “We should believe women…unless the accused is my friend”). Dunham issued a retraction of her statement the next day, along with an apology, but not before the damage had been done. Apparently Lena Dunham is a huge supporter of women coming forward with sexual assault unless it’s someone she knows personally and has held her up and filled her world with love. Women’s voices have been silenced for far too long on these issues, which is why it’s important to take each and every claim of sexual abuse and misconduct seriously. We’ll be monitoring this case as it develops, and only hope that justice is served.